5 − = 3 Required Please enter the correct value. Gold gained an astonishing 26% in the first half of 2016, its largest such advance since 1980 - making it the best-performing asset this year. 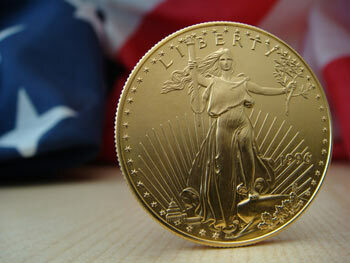 Unfortunately, gold's renewed bull run has not escaped the attention of Chinese counterfeiters. Using genuine minting equipment, cheap tungsten, and a little impure gold, they've been working overtime to produce hundreds of thousands of American Eagles, South African Krugerrand, and Canadian Maple Leafs. To the average person, the fake coins they're churning out look just like the real thing. One retiree was conned into parting with $84,000, only to discover later his "protective investment" was a handful of attractive but cheap base metal slugs. As counterfeiters become increasingly savvy, even experienced pros are being fooled. The small amount of gold thrown in allows these counterfeits to pass the common "acid test" most buyers use. The problem is so bad that the U.S. Secret Service is getting involved, but don't wait for them to come riding in. You can take action today. We've prepared this special report that features proven methods you can use yourself to make sure the gold you're buying is genuine. From simple to more complex, these seven tests are essential to verifying your gold's authenticity. We've also included the single most important thing you can do to make sure your gold is real, plus the two critical components to successful gold buying.